MetalRockNews: Disturbed's David Draiman about side project Device: "It was a big reality check"
Disturbed's David Draiman about side project Device: "It was a big reality check"
Disturbed frontman David Draiman was recently interviewed by Revolver, you can read some excerpts below. About his side project Device, with whom he recorded one album and toured in 2013 while Disturbed was on hiatus. 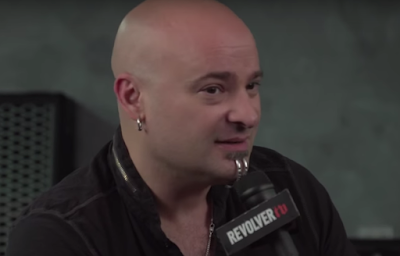 Draiman said: "It felt alien. It was good in certain ways and bad in others. It was maybe a hundred-fold more challenging. Because here you are starting from scratch again. So it was a big reality check for all us, for me with Device, for Danny and Mike with Fight Or Flight. We enjoyed those things, but at the end of the day, it's always nice to come home."